Looking for the Right Spring Shoe , wedges, elevated heels and wrap around ankle strap is what’s “In” this season. This Spring refresh your closet this season with New Shoes . At The Right Shoe, Spring is Blooming with Spring Styles by Aetrex, Dansko and Vionic. Aetrex has been with us since we have open our door. Aetrex is known for their reliable ” Health y 3″ in a ultra -light cork mid -sole & plush memory foam . 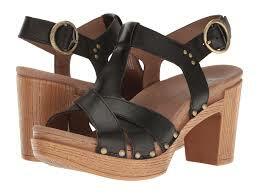 Returning this season is the Naya , an elevated spin off from the Jillian in a wedge. The Naya will be a perfect addition to your spring wardrobe with a 2 ¼ heel with a lightweight cork mid sole. 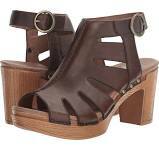 In addition Becca is making debut in Black, Tan and Blush in a trendy ankle strap wedge sandal. The Becca is perfect trendy wedge sandal, featuring an ornate adjustable ankle strap for Spring outdoor weddings and get away events . The Mia is a Spring Favorite in a contemporary Mary Jane featuring a stylish wedge with a braided detail strap in a 2 1/4 inch heel. Make some spring memories in this classic touch in your footwear wardrobe. Dansko is back and making a Splash this Season with the Demetra . Stay in style this Spring with Demetra with a Peep -Toe, adjustable ankle strap and Chic Chunky Heel in an Open Back. Approved by the American Podiatrist Medical Association (APMA), Th e Demetra features the steel shank for stability and support with a molded, cushioned foot bed and arch support. 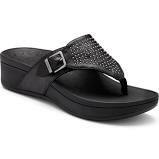 The Daniela by Dansko offered in black and teak is a t-strap sandal with studded accents and a block heel to offer a contemporary look. Featuring a leather-wrapped foot bed in a adjustable ankle strap in an open toe , the D aniela will make a wonderful spring addition to your wardrobe this season. Back again this season is Vionic featuring their orthaheel technology recommended by renowned Dr. Andrew Weil. One of The Right Shoe favorites is the Capitola to add a little glitz this season. The Capitola Platform sandal, featuring Micro-Stud detail with a adjustable buckle to accommodate for that perfect fit. Another favorite with a twist is the Paros by Vionic with 3 – points of adjust ability with bio-mechanical fo ot bed in a durable out sole perfect for the pool side or out and about in town with a few friends. Stop by The Right Shoe this Spring we have The Right Spring Shoe for you so pick up a few Spring Shoes to add to your wardrobe this Spring . Discover what is New for Spring we are located in York, Lancaster, and Lititz Pennsylvania.